We can provide high vacuum extraction for hand held wood working machines. 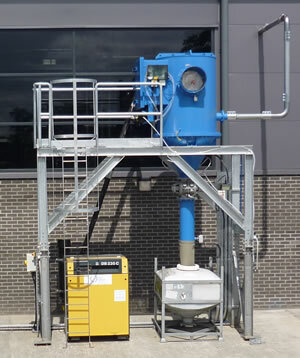 Recent projects include providing high vacuum extraction to a College to extract fine dust from the source. We extract from sanders and small routers, and dust is collected externally in a vacuum unit collected in steel bins. We have also supplied similar systems for a Cooperage for general housekeeping.